BYOD is exactly what it sounds like: instead of the company for which you work providing a work device, you instead ‘bring your own’ and use that. This methodology has vastly risen in popularity as personal mobile devices have grown more capable of performing the kinds of tasks expected by them for business use. Whether it is a smartphone, tablet, or laptop, both employers and employees have found that introducing the use of a personal device into the workplace can bring tangible benefits to workflows. Employees can be more productive while using a device they are familiar with and that is always within reach. Furthermore, they are more apt to care for this device, keeping it up to date and not losing it if they can help it. The same can’t really be said of a company device. After all, without some kind of personal investment into the device, it is just going to mean less to the employee. As for employers, BYOD policies can, as we said, encourage the productivity of their employees and ensure that they are working with what are generally better tools. The real benefit to an employer, however, comes in the cost savings to be had. Instead of procuring the devices to equip the workforce and then shelling out the cash for a company mobile plan, an employer can simply have an employee use the device they already own and reimburse them for their business usage. Of course, nothing is perfect, so there are naturally some drawbacks to BYOD. These drawbacks can effectively be boiled down to compatibility and security. Where compatibility is concerned, we’re talking about whether or not an employee’s device will play nicely with your solutions. There are a lot of variables to consider when it comes to mobile devices, ranging from hardware to software. Any incompatibility may eliminate the prospect of an employee leveraging BYOD, making it so that you’d ultimately still need to procure the desired device for them. There are also some very real security concerns that BYOD can perpetuate for both parties. First, an employee may not be one hundred percent comfortable with handing over access to their private device (and resultantly, their private conversations and data), and second, an employer may not want to risk allowing data out of their direct control. This is an especially large concern if the employee ever leaves the company, because they will be taking their personal device with them. While an employer can’t allow their data to leave, they also can’t just remotely wipe their (former) employee’s device. If you’re trying to leverage a BYOD strategy in your office, the first thing you need is a policy and a solution that can enact it. By laying out the terms of using a personal device for work from the start, you can maintain a clear understanding with your employees as to what can and can’t be done by both parties. 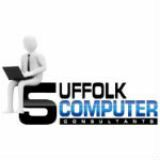 For assistance in implementing this policy, and the required solutions, reach out to Suffolk Computer Consultants at 631-905-9617!